When we bought our first car, or got a loan for that killer entertainment center, the lender spoke of our credit score as the defining number standing between us and our loan. The most widely used credit scores are called FICO scores, named after the company that puts the reports together, Fair Isaac and Company. These scores, generally ranging from 350-850, give a lender an assessment of your creditworthiness. In other words, it tells them how faithfully you will pay back your loan. Helping to understand what makes up your FICO score can greatly help the home buying process both now and in the future. Having a general knowledge of how your FICO score is determined is important to understanding where you are at financially. Below, you will find the five areas of your FICO score, what each area takes into account, and what you can do to improve your overall score. These percentages are based on the importance of the five categories for the general population. For particular groups – for example, people who have not been using credit long – the importance of these categories may be different. The first thing any lender wants to know is whether you have paid your past accounts on time. This is also one of the most important factors in the score. Late payments are not an automatic score-killer. An overall good credit picture can outweigh one or two instances of late payments. Public record and collection items – reports of events such as bankruptcies, foreclosures, suits, wage attachments, liens and judgments. Details on late or missed payments and public record and collection items. Be aware that paying off a collection account, or closing an account on which you previously missed a payment, will not remove it from your credit score. Having accounts and owing money does not make your score lower. However, owing a large amount of money on many of your accounts will tell a lender that you may be overextended. It can also tell them you are setting yourself up for one or more missed payments. The amount owed on all accounts, and on different types of accounts. How many accounts have balances. How much of the total credit line is being used on credit cards and other “revolving credit” accounts. How much of installment loan accounts is still owed, compared with the original loan amount. Keep balances low on credit cards and other “revolving credit” accounts. Don’t open a number of new credit cards that you don’t need just to increase your available credit. Most of the time, having a lengthy credit history, usually longer than seven years, is best for this area to help your score. However, depending on the other areas in your credit score, someone with low length of credit history may still have a high score. How long your credit has been established, in general. In the past, opening a number of new credit accounts in a short amount of time was considered a sign that one was jumping ship. Nowadays, especially with the Internet, opening multiple new accounts is more frequent. Recent reporting of FICO scores has reflected this fact. However, research shows that opening several credit accounts in a short period of time does represent greater risk. So, be careful who you let pull your credit. How many new accounts you have. How many recent requests for credit you have made, as indicated by inquiries to the credit reporting agencies. Whether you have a good recent credit history, following past payment problems. Do your rate shopping for a given auto or mortgage loan within a focused period of time. Re-establish your credit history of you have had problems. 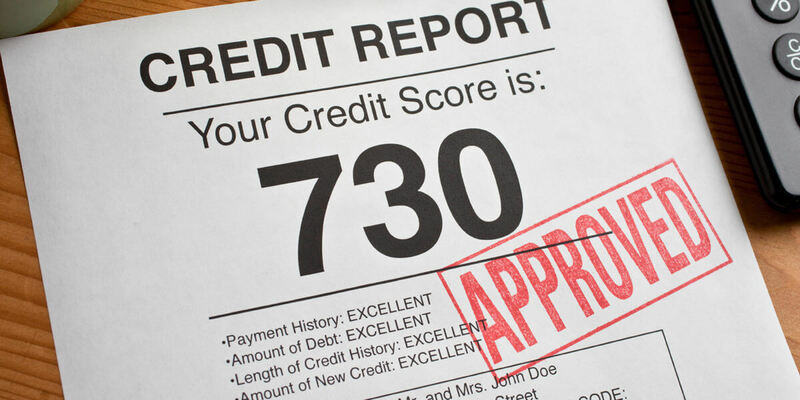 Note that it’s ok to request and check your own credit report and your own FICO score. Your score will consider your mix of credit cards, retail accounts, installment loans, finance company accounts and mortgage loans. It is not necessary to have one of each, and it is not a good idea to open credit accounts you do not intend on using. The credit mix generally will not be a key factor in determining your score. However, if you do not have enough other information on which to base your score, it will become more influential. Have credit cards, but manage them responsibly. Note that closing an account will not make it go away.